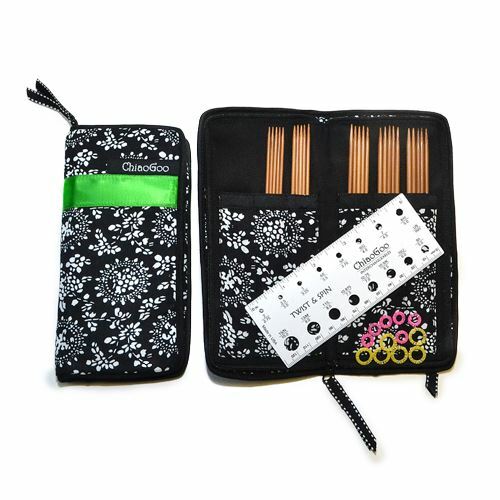 The Chiaogoo Bamboo DPN Sets are a collection of the Bamboo steel DPNs, available in a zipped case. So You’ll always have the right size DPN to hand. Each of the precision engineered needles has it's size laser etched on the side so it won't rub off during usage and not only do these beautiful needles come in their own zipped case, but they also contain a needle gauge and 12 Stitch markers.